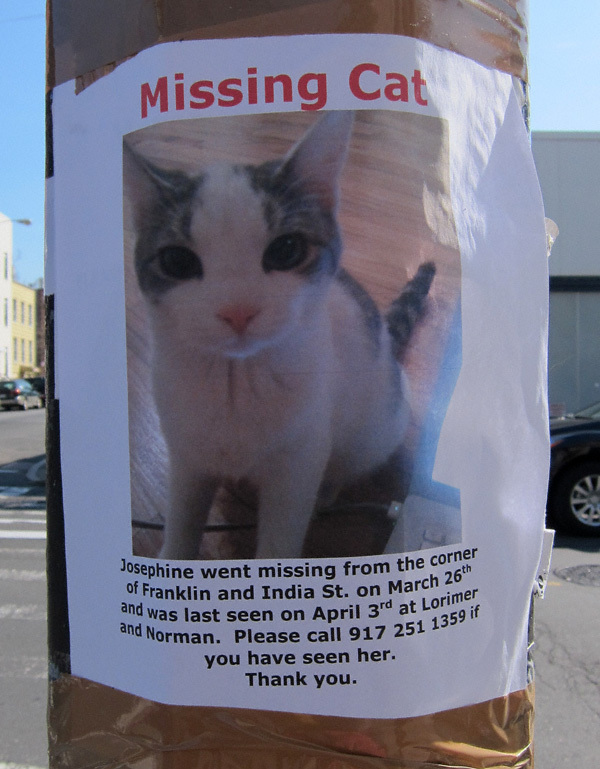 I spied this flier this morning while running errands on Manhattan Avenue. If you have Jospehine or know of her whereabouts please contact her “people” at the above-listed telephone number. Thanks!